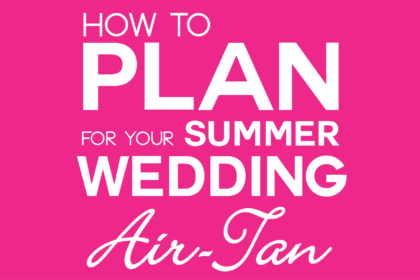 You should really pay attention to the season when you are choosing the right Air-Tan shade for your wedding day. If it’s wintertime, you might want to choose a lighter shade because that would look more natural for that time of year. In the summer, you can choose a shade that is a little bit darker for a summery bronzed look. But don’t go too dark! You still want to look like YOU in your wedding pictures! If you can’t naturally get very tan, then you probably shouldn’t go a level 4 or 5 (The darkest two levels) for your wedding. The key is to be bronzed, but still natural. Before your wedding tan, talk to your technician about what is the best shade for you. Whether it’s your soon to be mother-in-law, your bridal party or even your fiancé – everyone looks better with a glow! 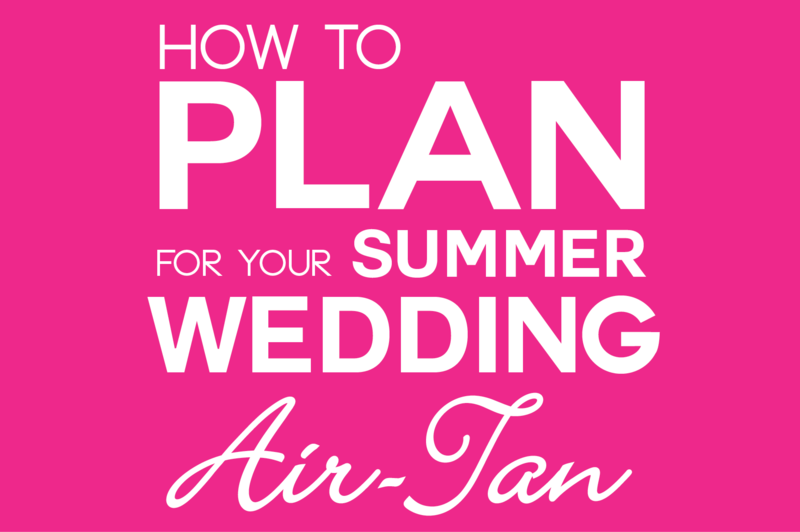 Contact our Bridal Coordinator, Emily Ross at Emily@air-tan.com, to choose the perfect package for your party. The more you buy, the more you save! The summer is the best time weather-wise to get tanned! You don’t have to put layers and layers of clothes back on right after your tan just to stay warm! Wear a loose fitted dress or shorts and a t-shirt with flip-flops. (as long as it’s not raining!) But as tempting as it is, don’t plan on wearing leggings or workout pants after your tan! The looser the clothes – the better! Whatever other beauty appointments you have the week, (and you probably have a lot!) you will want to make sure that you get your Air-Tan last. Soaking your feet for a pedicure, waxing, and even hair color – these are all things that might cause your tan to fade fast! Just make sure that your Air-Tan is the last on your to-do list for the perfect tan! This is the most important part of your tan! Your tan will look its BEST on clean, exfoliated skin! And this is the day to make sure your skin looks its best. If you tried out your tan beforehand, this is even more important. It takes 30 days for your skin to naturally exfoliate itself without any help from rubbing or scrubbing, so make sure to scrub all of your old tan off before getting your next one. You never want to apply a new spray tan over an old one! How Tan Do You Want to Be?